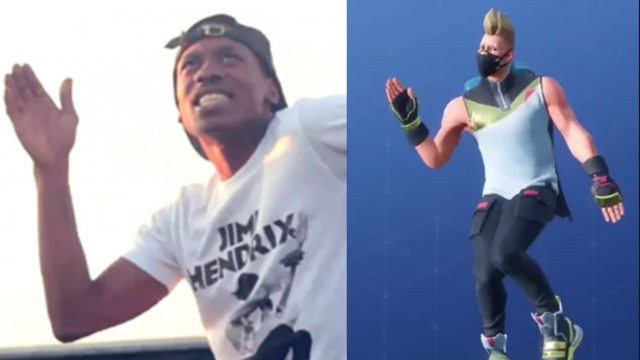 The opiate of the teenage masses, Fortnite, is being dragged into court by rapper 2 Milly, who believes that they’ve profited on his dance behind his back. The primary aspect of Fortnite is dancing on the corpses of the betas you just ended. To accomplish this, you have a wealth of emotes to choose from. However, it is that very aspect that is seeing the creator of the game, Epic Games, in court. Rapper 2 Milly is making them front court for allegedly using (and profiting from) a dance move he created without his permission. The move in question is the “Milly Rock,” which the artist created in a music video in 2014. The move blew up, used by the likes of Rihanna and Manchester United. What the defining point in the Fortnite’s usage of, is that players need to purchase a battle pass ($10) in order to unlock it. The battle pass represents the main revenue stream of Fortnite. Despite the fact that the game is free to play, costumes, emotes and similar purely aesthetic add-ons add up to the millions of dollars the game earns a day. Despite the fact that you cannot still purchase 2 Milly’s move (although those who previously bought it can still use it), the rapper wants it removed from the game outright. A less contemporary example was felt by Donald Faison (best known from Scrubs) who also had his episodal dance planted into the Fortnite realm. Faison also took to Twitter (albeit in a more jovial tone) about ringing the lawyers. But, the key is 2 Milly as his lawsuit is the first actual legal challenge against the video game realm for the appropriation of pop culture. It’s a fairly slippery slope, as many video games are either inspired by existing pop culture tropes and aesthetics, e.g. Grand Theft Auto: Vice City that heavily used elements of Miami Vice, or perhaps the Metal Gear Solid series, with creator Hideo Kojima practically stealing the contours of his protagonist wholesale from John Carpenter’s Escape from New York. Interesting point, the latter was almost brought to court in 2015, but was shot down when Carpenter chose not to pursue proceedings, as he believed Kojima was a “nice guy”.